Friends, I'm back on my blogging game and wow, I'm so happy. I really love being able to share my work, especially when it is one of my favorite sessions like this one. Megan & Josh have been married almost half a year and I'm just NOW putting up their engagement session, but let me tell you, it's worth it. 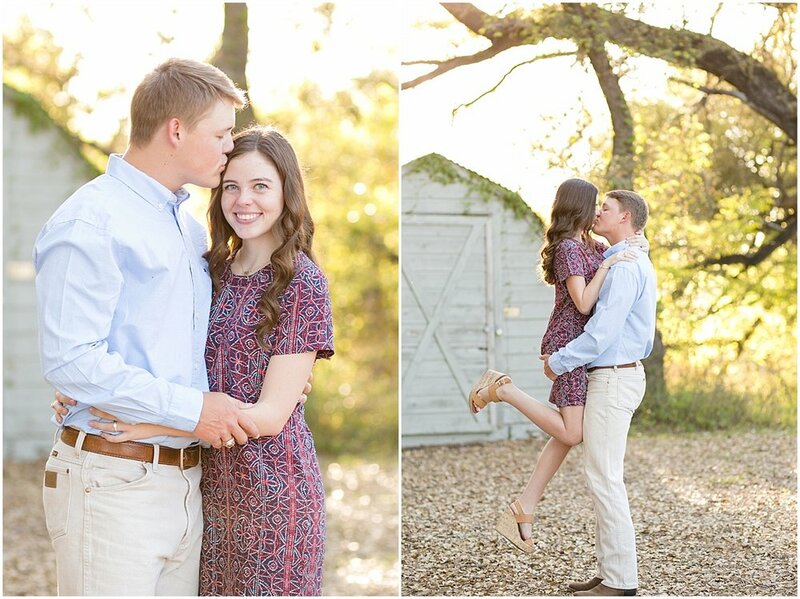 This engagement session is one of my favorites to date! We shot it during the spring last year at the Cibolo Nature Center in Boerne, which is just outside of San Antonio, Texas. I love the way the light rendered in these images and how gorgeous they turned out. Kinda like the engagement session I blogged right before this, I'm telling you, something always happens! So the last one, the dog ran after all the birds into the pond before the engagement shoot and got soaking wet. This time, Josh locked his keys in his truck with everything including their phones, wallets, etc. We had to wait for AAA to come, but it was the best ever, because some of my favorite images were captured while we were waiting. As most of you know I am a huge Alabama fan and really do love the Crimson Tide. I don't known if it is a curse or a blessing to always work with Aggies! It seems as though He hand pics them for me, just so they can give me a hard time, even though I secretly love it. Aggies have the coolest traditions; one of my favorites is the Aggie ring. Scroll down to see some awesome shots with Megan & Josh's rings. This is definitely a session you do not want to miss. Check it out and leave some love.